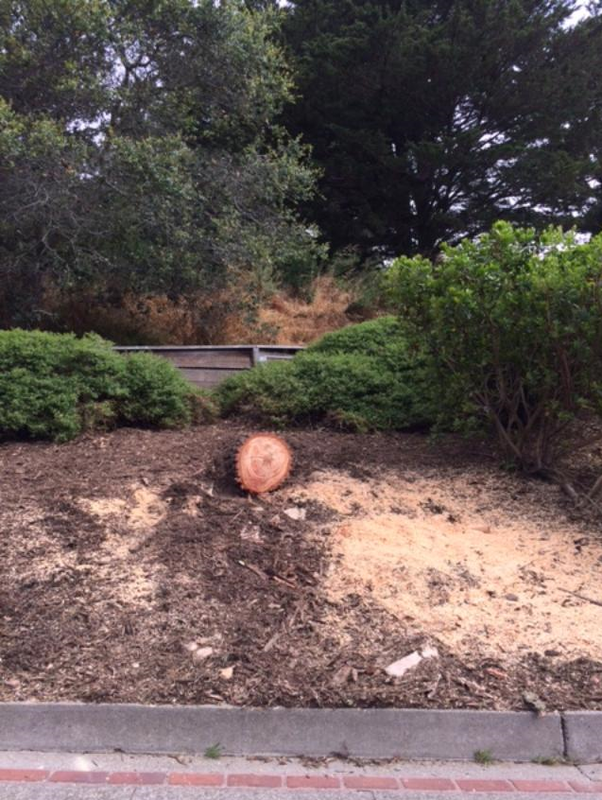 Mt Davidson: Tree Destruction Imminent? 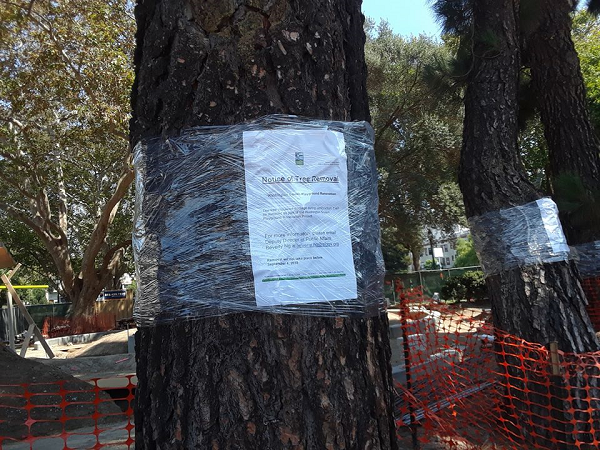 There’s a lot of activity at the Juanita entrance of Mt Davidson, and neighbors fear the San Francisco Recreation and Parks Department (SFRPD) is rushing through its tree-felling program. 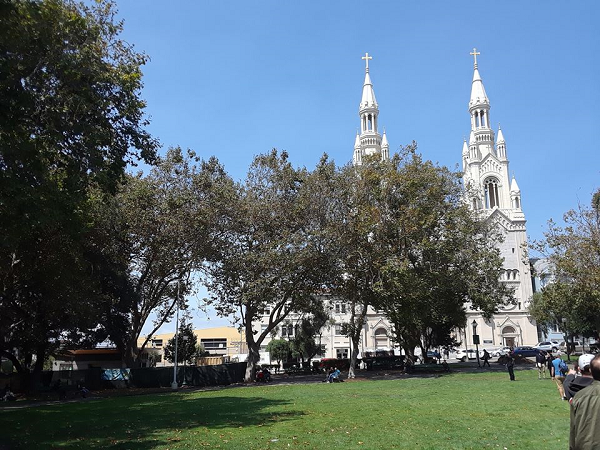 At a time when we need trees more than ever to fight climate change, and mudslides in Southern California illustrate the devastating effects of destroyed trees and vegetation, this would be egregious. 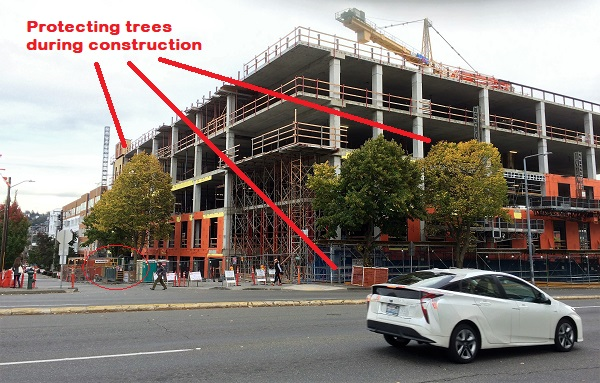 Do these dots mark this iconic tree for killing? 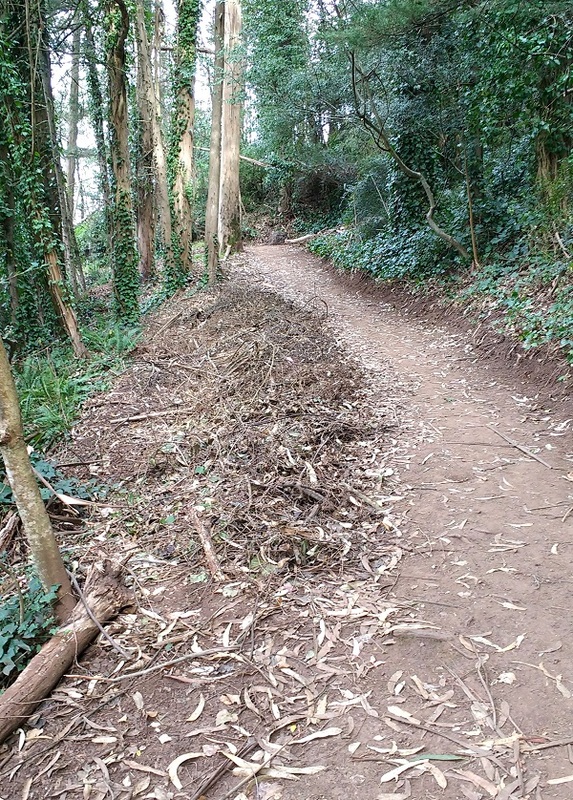 TRAILS BEING WIDENED FOR HEAVY EQUIPMENT? What equipment will go up here? Maybe a “Brontosaurus”? 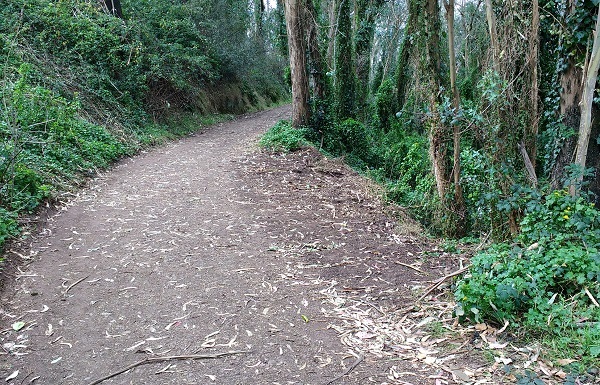 Tree have been destroyed on Mount Davidson some years ago, and this prior destruction gives some idea of what the desired end-condition is for the next round. 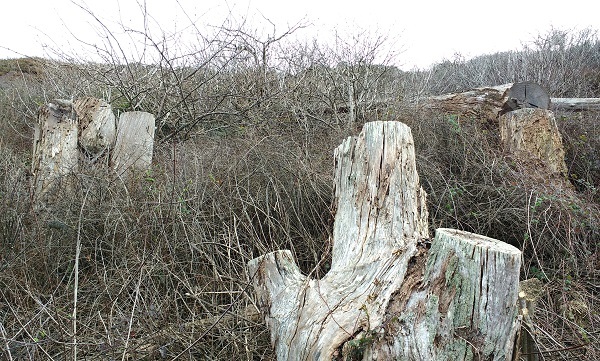 The so-called “boneyard” has stumps of dead trees. 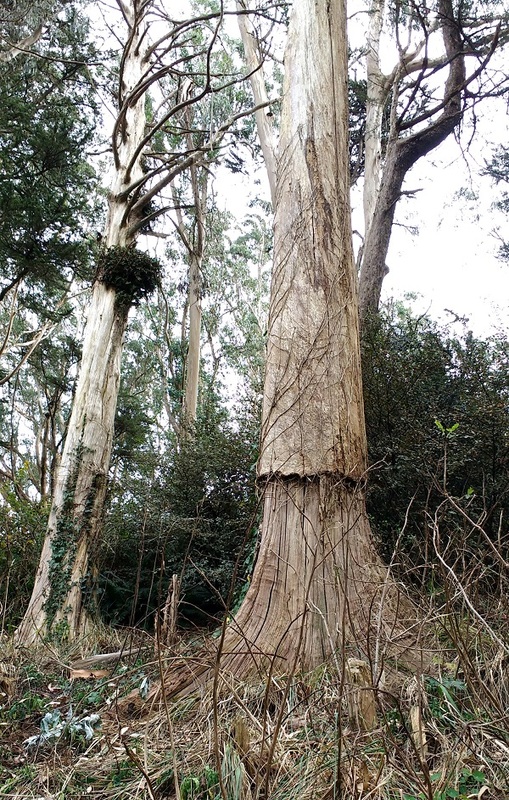 This tall mature tree was “girdled.” That’s a process of destroying cutting a deep ring around the tree, so that food and water cannot be transported and the tree starves to death. A beautiful green and flourishing tree that provided food and habitat for birds, and brought joy to forest lovers, is a dead skeleton. They stabilize the mountain, with their intergrafted roots forming a living geo-textile. The horrible mudslides in Southern California illustrate how important this is. 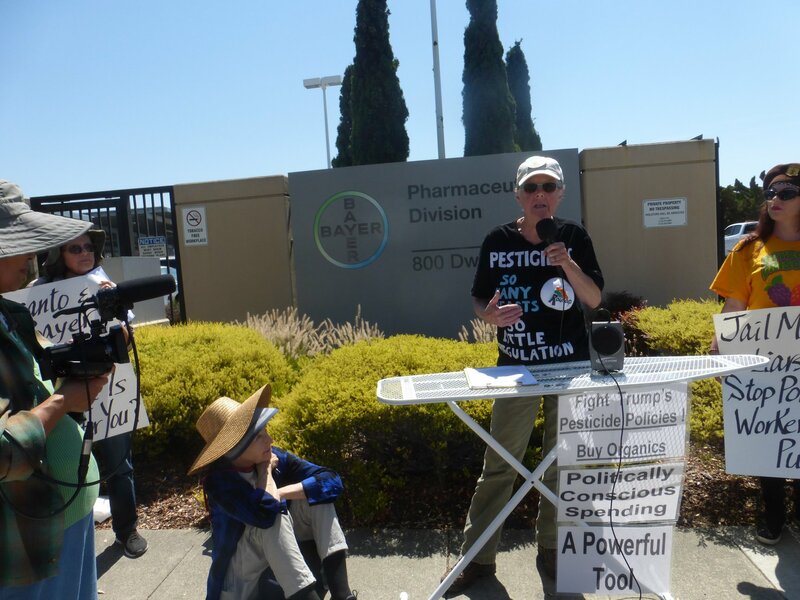 They fight pollution, especially pollution from particulate matter, by trapping the particles on their leaves until rain or fog drips them to the forest floor where they are not in the atmosphere – or our lungs. They form a wind-break in what would be one of the windiest areas of the city, with the wind blowing in straight off the sea. They regulate water flows, so that when it rains hard, the forest acts as a sponge, absorbing the water and letting it flow out gradually. 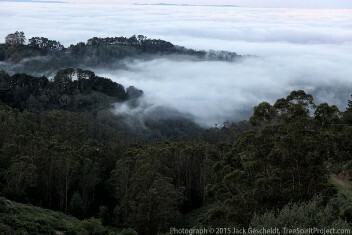 They catch moisture from the fog during summer, making the mountain damp and reducing fire hazard. 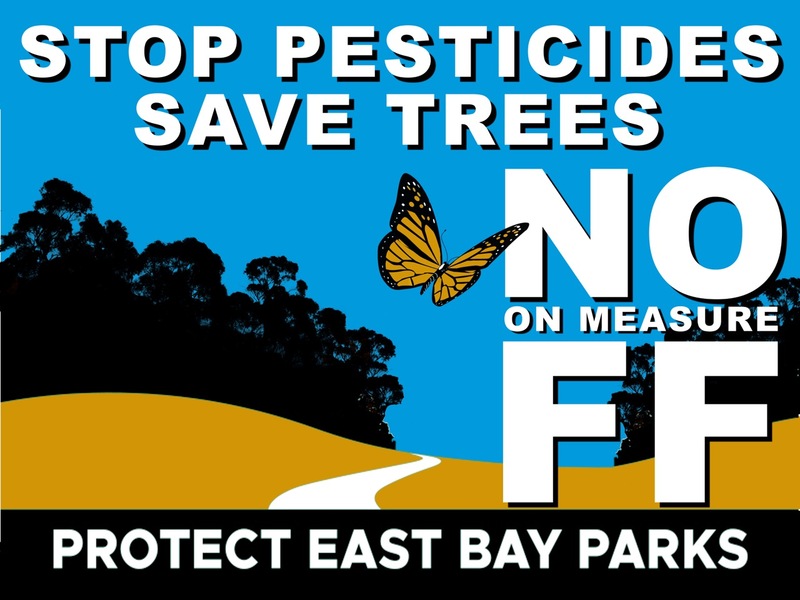 Please let City Hall and SFRPD know that you want this forest protected and saved, not gutted. 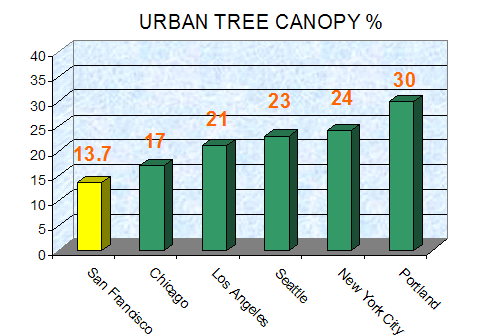 The plan is to remove 1600 trees! 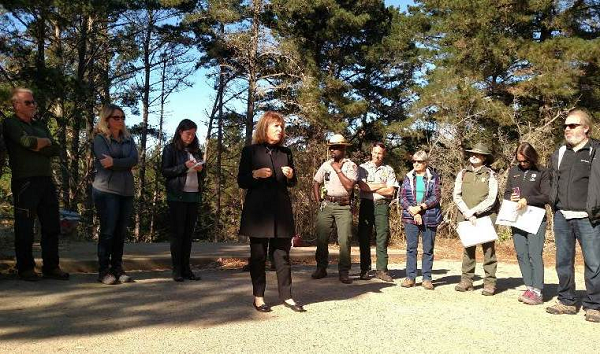 We reported recently that some people interested in going on the walk at Rancho Corral de Tierra in Montara were unable to get in. Now a Town Hall has been scheduled on Nov 12, 2017. 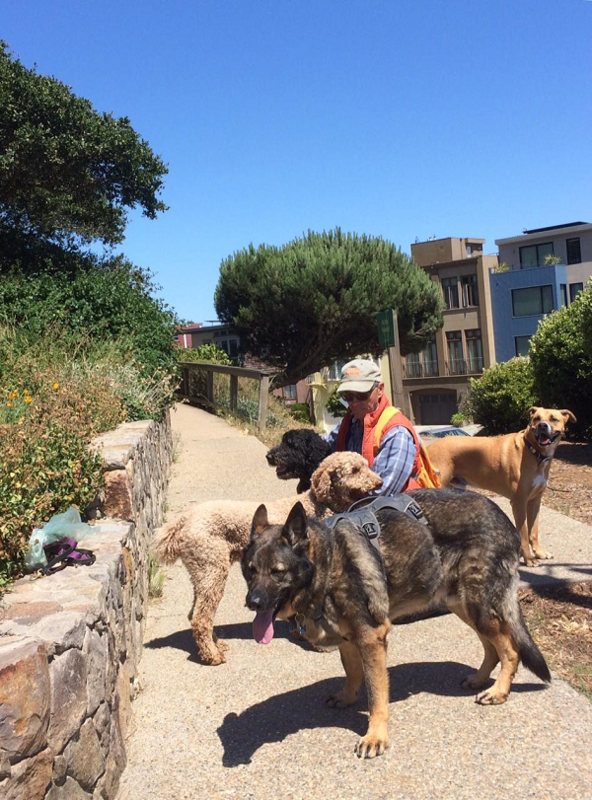 In response to public interest, GGNRA will be hosting a second public meeting on Sunday, November 12th from 2-3:30 pm at Farralone View Elementary School. A meeting invite with details will be sent to everyone on our email distribution list. 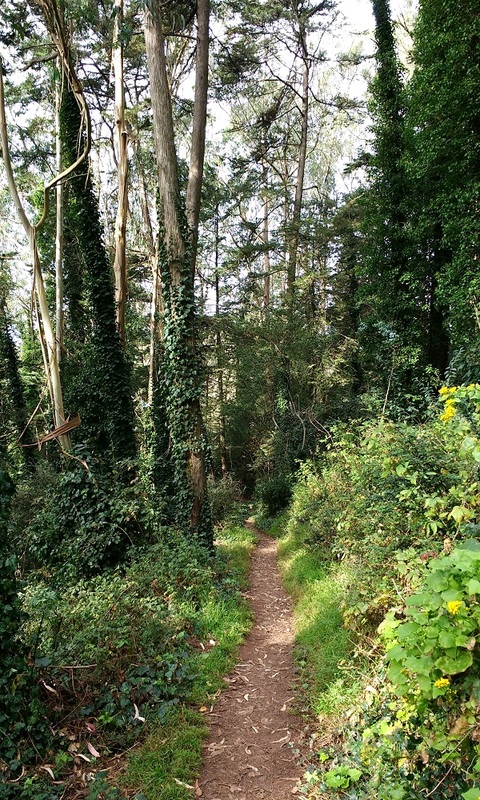 To stay informed about the November 12th public meeting and other park related matters in San Mateo County, please sign up for our [i.e, GGNRA’s] “San Mateo County” mailing list here.